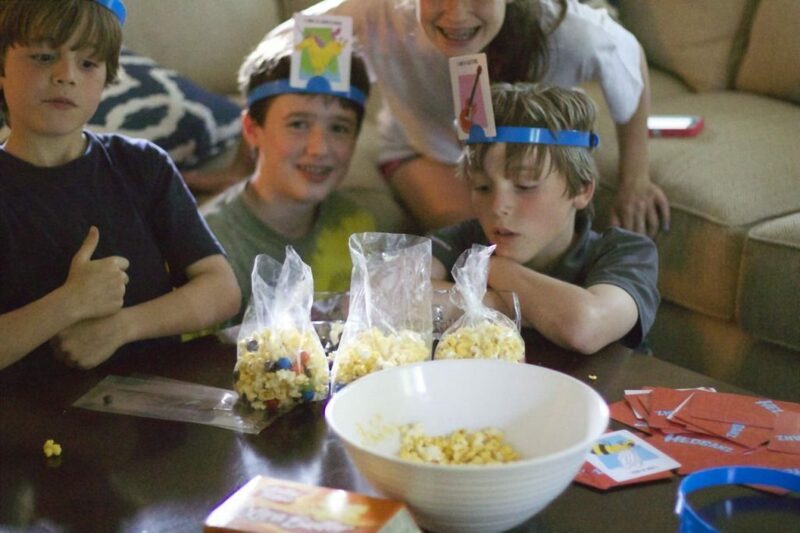 This post about game night ideas is brought to you by JOLLY TIME Pop Corn. The content and opinions expressed below are that of Close to Home. Technology is a necessary evil and my husband and I debate as to what age our kids can handle their own devices. While we have restrictions on our daughter’s phone she is often found hanging in her room, not being social with the family but “listening to music”. She is being social in the modern way of social media. 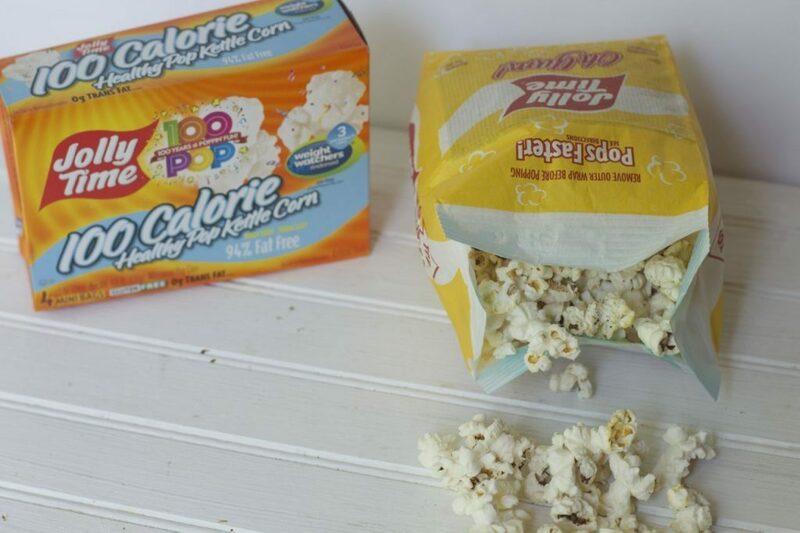 It is time for our family to take the JOLLY TIME Pop Corn family pledge and Unplug Pop Connect To get the kids excited that the TV is not even going on, we are sharing some game night ideas that will encourage everyone to have fun without a screen. In order to prepare we purchased a few snack items, including a variety of JOLLY TIME Pop Corn, and movie candy. Also have a few cellophane bags. 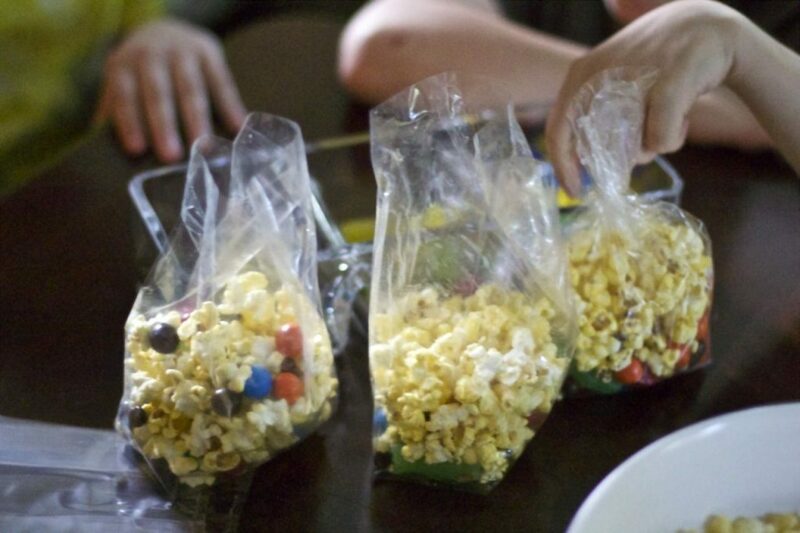 The excitement will erupt when they catch a whiff of the popcorn and then see the variety of candy they can add to their own bags to enjoy during our game night. Kids like to have their own snack and no fighting over who ate the last M& M, that will happen b/f the game even starts! 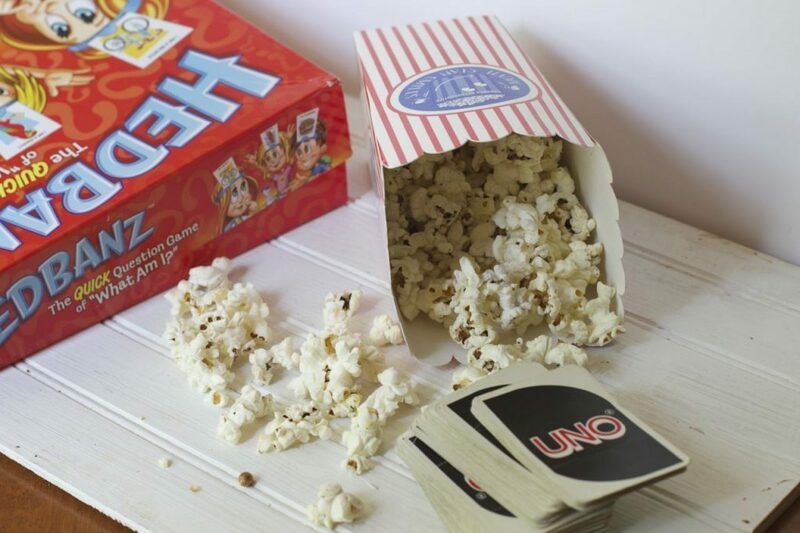 With the popcorn snack bags filled the family can get started playing board games that might otherwise be collecting dust. My family went crazy over the JOLLY TIME Xtra Butter variety. I tend to go light on the butter when I make popcorn at home. My husband who loves pop corn kept talking about how good the JOLLY TIME tasted. I personally love the sweet and salty Kettle Corn variety. The good thing about microwave popcorn is that it’s super easy to make a few different varieties for the family. This summer our family has decided to make a habit of the Unplug. Pop. Connect pledge and do it once a week. So you can too, JOLLY TIME Pop Corn’s Unplug. Pop. Connect. site and share your family pledges in order to receive a high value coupon or possibly win prize package! 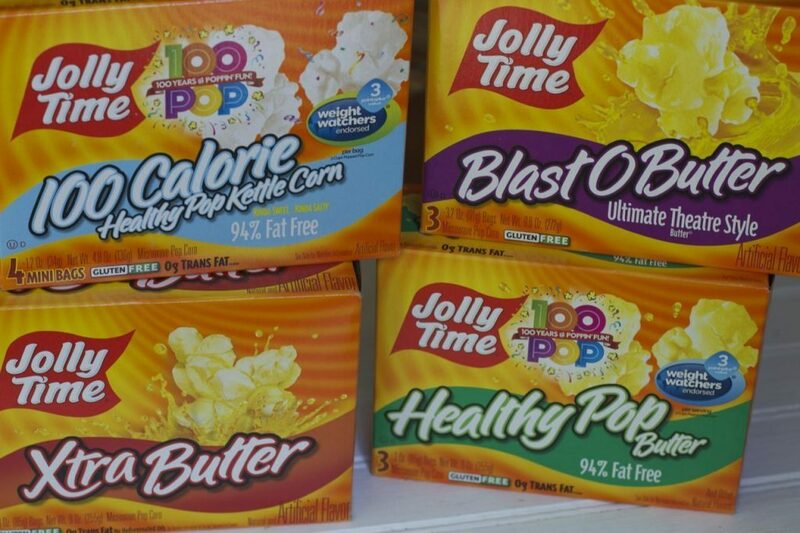 Check out JOLLY TIME on JOLLY TIME Pop Corn on Facebook and see what others are doing with their families. What activities will you choose to do when you Unplug. Pop. Connect.? I love movie and popcorn nights! I think it would be fun to mix your own popcorn too with fun candies! We love the Headbanz game at our house. Monopoly is also a favorite too. I always look forward to unplugged time together. It’s so great to just turn off the screens for a bit. We haven’t played UNO together, but do enjoy a rousing game of Monopoly. We always have pop corn for our movie nights. This is a fun idea. What a great idea. I love adding different toppings on our popcorn. Chocolate is always a hit. We try to have game nite once a week. I love Jolly Time popcorn! It’s so buttery and delicious-I make it all the time. How fun! I want to come to your house for game night! 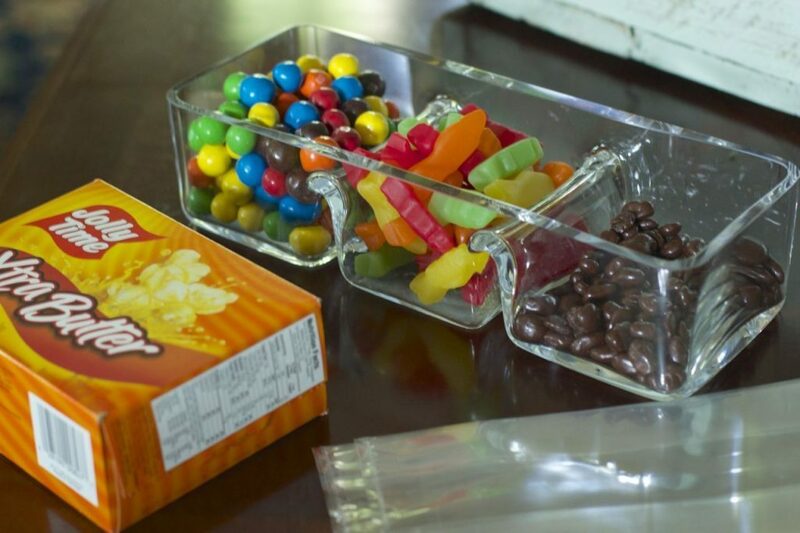 My kids would adore this little treat! Popcorn is my all-time favorite snack and my kids like it as much as I do. 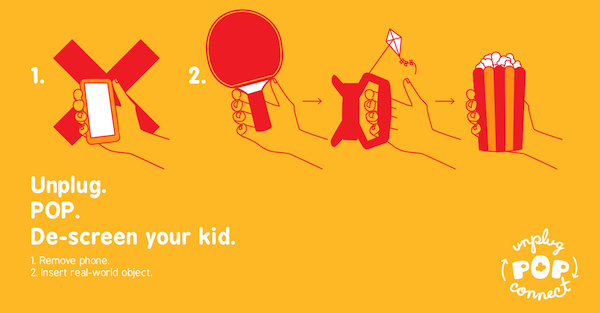 Family game time is a great way to disconnect from technology and reconnect with the family. I haven’t played Uno in forever! Also, popcorn sounds perfect right now! Popcorn and movie/game night with the family is one of the best parts of summer. I can’t wait! I love the idea of an unplugged game night. When my boys get a little bigger and able to play board games we will certainly be implementing an unplugged game night. Playing our favorite games with popcorn sounds fun. I’m quite fond of kettle corn as well. I think a fun night of games or movies is not complete without popcorn. It is a staple. This is great. We do game night too. It’s important to disconnect and have real face time. I love game nights! Extra butter for me, but my husband taught me the wonders of putting peanut M&Ms in a box of popcorn. Who knew? My family loves to play Monopoly. We literally play for hours. Sweet and salty is a win-win mix for me. I love the idea of doing this with Game Night. Even thought my daughter is in her 20’s we still have family game night. It is our favorite time of the month. Great snacks are important and popcorn is one of our favorites. We love popcorn in our house. It is a staple on movie night.